There is an infuriating post over at Wired’s Innovation Insights titled MDM is Dead, Long Live the (Enterprise) Cloud. Let’s start with the obvious. The author, Israel Lifshitz, is the founder and CEO of Nubo. Who is Nubo you might ask? 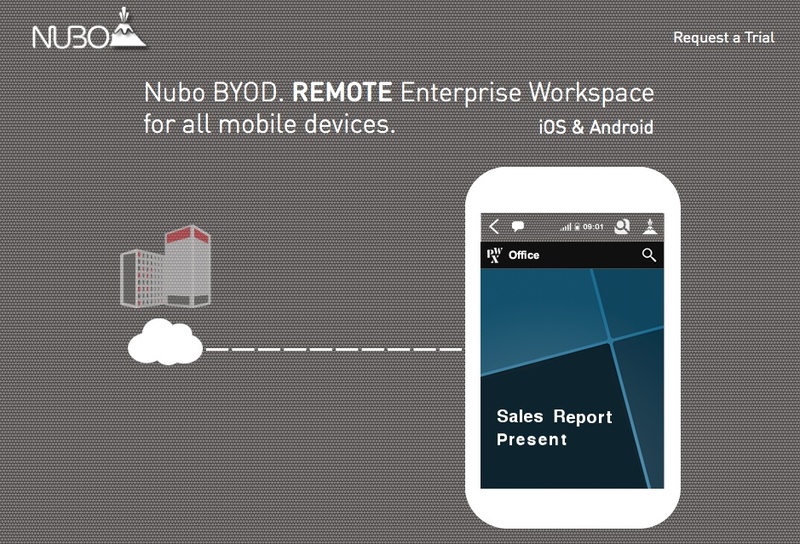 Nubo is, from their site: REMOTE Enterprise Workspace for all mobile devices. It says that right on their homepage. Well, almost all mobile devices. iOS and Android. They’re a Cloud company (I’m going to use the capital C when referring to the hyped marketing term). The CEO of a Cloud company wrote a fluff piece about how Cloud is going to do away with managing devices and that BYOD (with the Cloud) is going to rule all things, forever. First, I want to believe in this future. I really do. The idea that anyone can bring any device and get all of their work done without any issues is indeed something I would love to see. It would free IT up from having to manage devices so that we could work on providing new technology to people and maybe even, *gasp*, training them as well instead of fighting fires. However, I think that we grossly underestimate what that might mean for not just IT, but for our colleagues as well. Moving to an entirely Cloud-based future puts all of the strain on networking, for one thing. Your internet connections become the only way for you to get work done. Don’t have a ton of options or can’t easily afford redundant connections so that if one provider goes belly up for a little bit everything doesn’t grind to a screeching halt? Well, too bad. It is in the Cloud, so hold tight because it will come back. That’s not always acceptable … so you better be ready to have an answer for that besides an SLA with a few 9s attached to it. If nothing is stored on our personal devices, IT has nothing to manage. The can take data out of your control. Ultimately, isn’t that the purpose of MDM and EMM? The problem with the idea that there will never be anything to manage is that you’ve moved the management from company-owned devices to person-owned devices … which still need to be watched. Updated. Fixed. Cleaned. You get the idea. What you have done is expanded the number of types of devices that IT is now supposed to support. Does your new Enterprise Cloud support the latest version of IE 11? No? Too bad, three people in Finance just updated their machines to IE 11 so you need to find a way to support them. Also, the person in Recruitment just called and updated to Mavericks and the Enterprise Cloud currently does not support that either. It’s coming. Soonish. You’ll need to purchase the next service pack in order to continue to have access to that. Also, don’t think about ending your service contract anytime soon because now all of your information is stored in an Enterprise Cloud and getting it out could prove tricky. Mobile is happening right now and IT needs to catch up, but I’m not convinced that BYOD is going to be some great liberator of the masses from their technology hatred because, shocking, most people don’t love their technology like IT does or can. People want to get work done, in the easiest way to do it, and in a consistent way that will continue to work. BYOD brings in inconsistency, no matter how well things might work. Even Facebook acts differently and I’m pretty sure you aren’t going to find an Enterprise Cloud with the narrow focus of Facebook nor the resources available. They have a hard enough time. Big changes are coming, but let us be certain not to throw out the good in the endless cycle or searching for the perfect. We’re going to end up very disappointed. Local storage is not going away any time soon and some data will never be placed in a public cloud, but, remote & offline access to this data will still be needed. The future will be a mix of cloud and local or on-prem storage, where the location of data will be dynamic and depend on the use case(s) of a specific project, a short-term need or larger strategic vision. 1000% agree, and that is just al little bit of hyperbole. We also need to remember that as IT people, we are stewards of our colleagues ability to get things done. I’ve been thinking more about that as it pertains to how I view decisions I need to make. What will allow my colleagues to get their stuff done more easily. Sometimes the answer is that they have a nice place to work at with a fast computer and access to really good, reliable file storage. That is a need for a good number of people. We need to be supplying people those things instead of trying to fit every use case into an ideal. Just today we had someone switch notebooks and has their stuff in Dropbox. Sounds great. Problem is: they don’t remember their Dropbox credentials so … now we need to go and figure that out. Then it needs to sync. Then they might be able to get started. I don’t have the answers, but we need to be asking more questions instead of thinking that what people are throwing out right now is REALLY better. The classic “Dropbox … “Rouge adoption problem”. Great solution for personal use but without business-level IT control, visibility, etc. not ready for prime time. BYOD has been disruptive for IT but productivity gains for employees have been substantial, and with limited use it has been a headache for IT but generally not to the level of a problem that needs to be solved. Now we’re close to critical mass, where the exponential growth of BYOD/BYOA is proportionally increasing the number and complexity of problems from using consumer-based, cloud-only solutions. Over the next few years IT will be looking to take back control while continuing to allow the access and availability users have come to relying on. Good luck with those credentials! I think ultimately it isn’t even about control, but about being able to supply people with the tools they need. Whether BYOD or company supplied and control, it ultimately needs to serve the needs of our colleagues so that work can be accomplished with the balance of security and enjoyment. It is going to be interesting, that is for certain.